ESP compounds have different sizes and can be assembled in a variety of combinations. These combinations must be carefully determined to operate the ESP with production requirement, downhole conditions, material strength and temperature limits, etc. to select the optimum size of compounds. 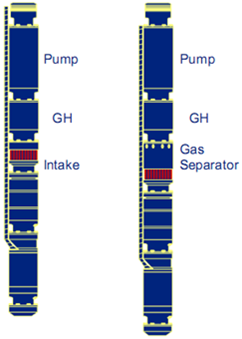 To determine the required number of stages of the pump to produce the anticipated capacity; just divide the Total Dynamic Head (TDH) by the Head developed by Stage. Refer to the article “ESP design – Step 4: Total Dynamic Head” to review how the TDH is calculated. 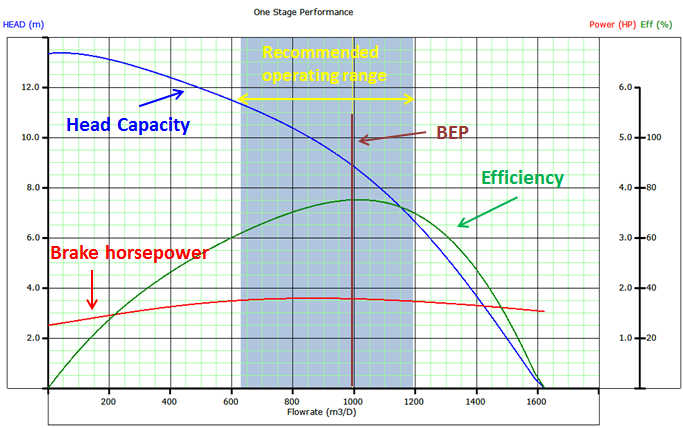 The Head developed per stage is deducted from the published performance curve which shows the discharge head developed by the pump. It is an experimental curve given by the manufacturer and obtained with fresh water at 60 F under controlled conditions detailed in API R11 S2. Refer to the articles “Pump Performance Curves – part 01” and “Pump Performance Curves – part 02” for more details. Once calculated, divide the TDH by the Head developed per stage to get the Total Number of Stages required to produce the anticipated capacity. 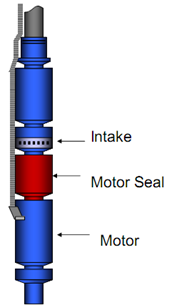 The Motor seal is installed below the intake and above the electric motor. It is also named: Equalizer, balance chamber, or Protector. Seal section types, functions, components, and applications are detailed in this article. Absorbs the pump shaft thrust load (it houses the thrust bearing that carries the axial thrust developed by the pump, it can either be upthrust or downthrust, depending on the pumping conditions – obviously, for fixed impeller type only). PS: The motor, pump and seal are often submerged below several thousand feet of fluid. 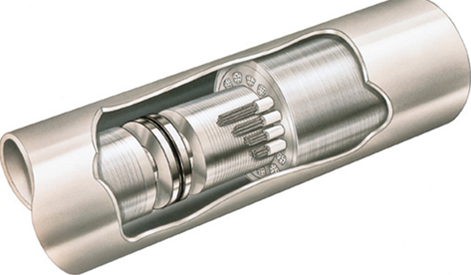 The seal section allows the pressure in the motor and the annulus to equalize, so that there is very little pressure across the shaft seals or the pothead connection. PS: When selecting the protector, we need to be certain that the protector shaft is capable of delivering the full torque required without exceeding its yield strength which could result in a broken shaft. Gas handling devices may be a better alternative for wells prone to high free gas, slugging, foams and emulsions. These are essentially centrifugal pumps with large stages, mixed (or axial) impellers, large vane openings, steep vane exit angles and sometimes include multiple vanes. Instead of separating, their purpose is to break large gas bubble into smaller ones thereby reducing the risk of gas locking and making it easier for gas to be re-absorbed into solution, and to homogenize the gas with liquid phases, prior to entering the pump intake. An additional benefit of gas handlers is, because more gas is retained in the flow stream, this gas is then available to help lift fluids in the tubing above the ESP discharge head thereby reducing hydraulic horsepower requirements. Applications: A Gas Handler is generally considered if the Free Gas Percentage at the intake of the pump is from 30% to 60% by volume.